The university’s endowment fund — which it uses to pay out scholarships, for example — outperformed its benchmark by more than two per cent last year. The university’s $130-million endowment fund, managed by Fiera Capital Corp., returned 10.3 per cent last year. Over the longer 10 years, the fund grew by 6.6 per cent compared to a 5.8 per cent return for its benchmark, the FTSE TMX Universe, which is a combination of global financial indices. Fund managers such as Fiera use benchmarks to measure their own financial performance by comparing it against similar investments. Endowments occur when people — often alumni — donate money to the university. The donations can come with conditions, though. Donors can request that their money be used for scholarships or to fund university developments. Ryerson then invests the designated funds through an investment manager — in this case it’s Fiera. While the university invests the endowments, about 3.5 cent of the endowment fund is removed and used each year mostly for scholarships. That works out to an average of $4 million a year, the school’s chief financial officer Joanne McKee says. In the past decade, Ryerson’s endowment fund has grown more than 150 per cent, but it’s still dwarfed by the University of Toronto’s $2-billion fund and especially by older U.S. universities like Yale’s $34-billion fund. It’s in the same league as the University of New Brunswick and Concordia University. Ryerson is fairly young, McKee said. 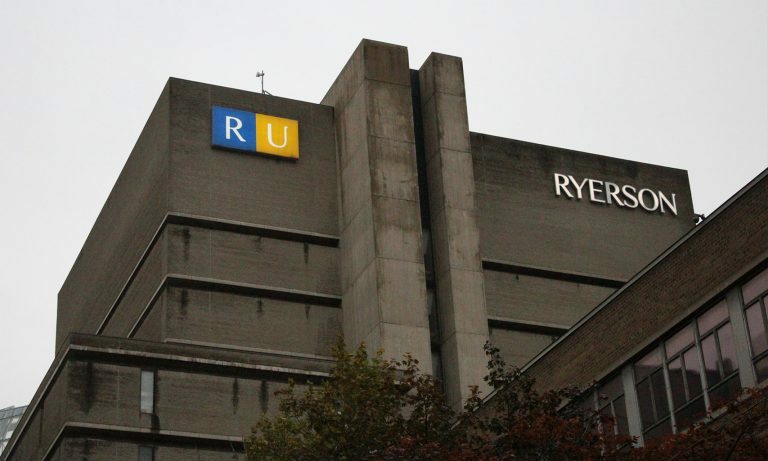 The strong performance is due to the filters the firm applies to its investments, which Ryerson enforces in its policy, said Fiera senior vice-president, Tim Hylton. One of the main reasons for its outperformance recently was its U.S. performance. The S&P 500 — Fiera’s benchmark for U.S. equities — returned a 14 per cent gain last year. American equities in the university’s fund saw higher returns at 20 per cent in the same time frame. “It’s a conservative fund focused on high quality companies,” said Hylton. Most universities in Canada follow a similar investment strategy, said Ryerson’s McKee. “We don’t take risks with endowment funds.” This is primarily to protect investor’s money.